Kathmandu, Nepal -- In Sanskrit, mandala literally means circle and center. Its traditional design utilizes the circle-symbol of the cosmos in its entirety-and the square-symbol of the earth or of the man-made world. In Tibet, the mandala has achieved its fullest and most complex development, both as an artistic form and as a meditative ritual emphasizing comic integration. The center, the abode of the deity, is contained within the square, in the palace on inner being, that, is, surrounded by a circle or series of circles, each symbolizing a particular phase of initiation or level of consciousness. 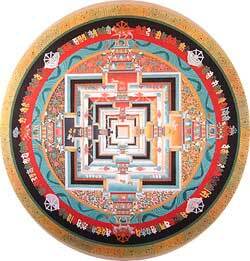 The word mandala in Tibetan actually means center and periphery, i.e. a circle: the circles of a king, a magician's circle, an organization with a center and periphery, and so on. 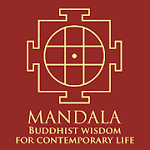 Mandala is in its origins a Buddhist concept. It is believed to have been first systematized in the fourth century A.D. in the Guhyasamaj Tantra. The Kathmandu Valley has been known as Nepal Mandala since the 7th century. The mandala is a special form of Thangka. The word derives from Sanskrit and means "circle". From a geometrical point of view alone, mandala is symbol of concentration. The circle encloses the largest area within the smallest circumference. In addition, it has a single center-point. The term mandala from the tradition of the Shingon school (Ulrich Mammitzsch) defines: In the Sino-Japanese tradition, a mandala is a sacred ground where Mahavairocana reveals himself in concert from. This mandala is both altar and palace: altar, in the sense of providing a focus for veneration, ritual, and meditation; palace, in the sense of providing the proper surroundings and elements for the splendour (Skt.vyuha) of this manifestation, the mandalas (of this specific tradition) retain an emphasis on external means which link these mandalas to rituals of purification and offerings as part of the yogic process which culminates in the realization of Buddhahood in this very body. This realization takes place in the form of s mystic union with the three mysteries of Mahavairocana-his body, speech, and mind. According to Shreedhar Rana mandala can be divided into three types: The first is the body mandala or the Mahayoga. This mandala is used to transform the conception of ordinary bodies and their mandalas into Deity bodies through meditation. The second one is called Anuyoga or the mandalas of nadi charkas. The third is that of Atiyoga. In which everything is treated in terms of the mind, or as unity of emptiness and luminosity. Stella Kramrisch in her book The Art of Nepal has written that mandalas are the visual support of concentration, or ritual aids on the way towards the center of the cosmos, and the self. The mandalas are nothing but magical fortifications, instruments or yantras for fulfilling certain magico-religious purposes. They perform the powerful function of creating a sacred spatial sphere in any situation. In essence and character such situation depiction is Tantric and Tantra is all pervasive for Buddhists, Shaivas or Shaktas. A highly speculative atomic theory, a regard for time-space relationships, astronomical calculations and the like have gone into the making of mandalas, which, to quote Amita Ray, are visual counterparts, in the sign language of geometry, of a highly abstract and speculative conception. Mandala is filled to the brim with a divine grace that permeates each of its parts with equal intensity and presence. It is our human dilemma that we are not aware of it, and no human effort can rid us of that dilemma. Still, even our limited rationality we are capable of grasping that the whole mandala pulsates with divine and eternal life; that each single cell therein is anchored as a centre of its own, perfectly and immutably. 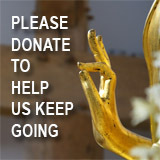 Thangka is widely known around the world today. These paintings on canvas scroll also are rooted in religion. They have long been used by nomadic religious leaders, particularly Buddhist, because they could be rolled up and carried. They contain depictions of history, deities, great thinkers and daily life. They were first made to guide worshipers from chaos and to facilitate concentration and meditation. Tibetan settlers who crossed the Himalayan Mountains hundreds of years ago into Nepal began the tradition of requiring monks to learn Thangka painting as part of their religious training to become lamas. The work today is also done by Newars of the Kathmandu Valley and other artists. Thangkas are painted in a mandala form with a mixture of glue, chalk, and colours-the best quality use stone-ground natural dyes- and are finished with a varnish of the white of a duck's egg. Gold is used to highlight the most valued ones. Art is something precious, the origins of which came with the existence of human life and human curiosity and creativity. Art in Nepal comes in different forms. Every religion, culture has its own identity and culture. Roman sculptures, Hindu temples and Buddhist shrines are the art which gives aesthetic pleasure.